Kipwise’s vision is to help teams learn better and enable a better knowledge flow within the company. In this era where “Content is king”, there are lots of useful resources in the form of online articles, so we ask ourselves — how can we help teams digest and organize useful knowledge from these online treasures? one major problem that many teams experience when sharing good-reads with teammates is low engagement. it is often very difficult to locate a previously shared article as the search function in Slack basically covers the title only so it’s hard to remember the keywords. With the goal to solve the above two problems, we designed a team annotation function where our Slack bot can smartly detect if a shared message contains any article link so we can help you 📎 clip the article automatically. Kipwise will also turn it into a collaborative version so your teammates can highlight the key points 📝 to help other teammates digest the article faster and add notes to encourage discussion around the article. Articles with annotations has 4X engagement rates 🚀when comparing to articles without any annotations! 1. 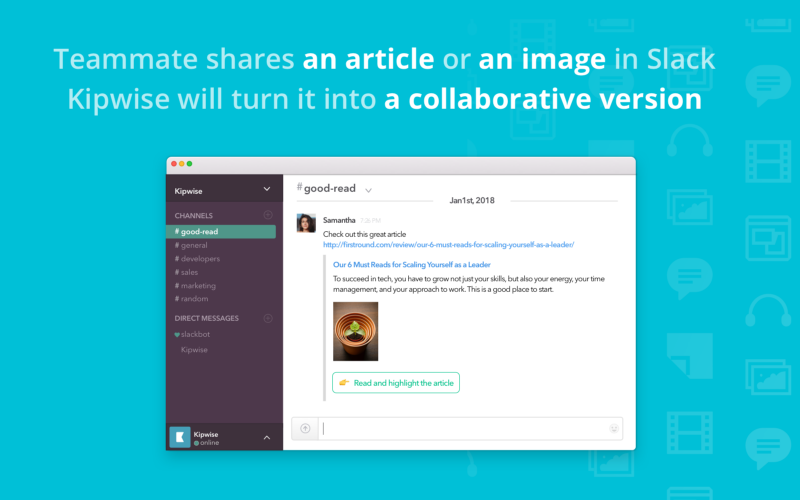 A teammate shares an article in Slack → Kipwise can detect that it is an article and will turn it into a collaborative version automatically. 2. 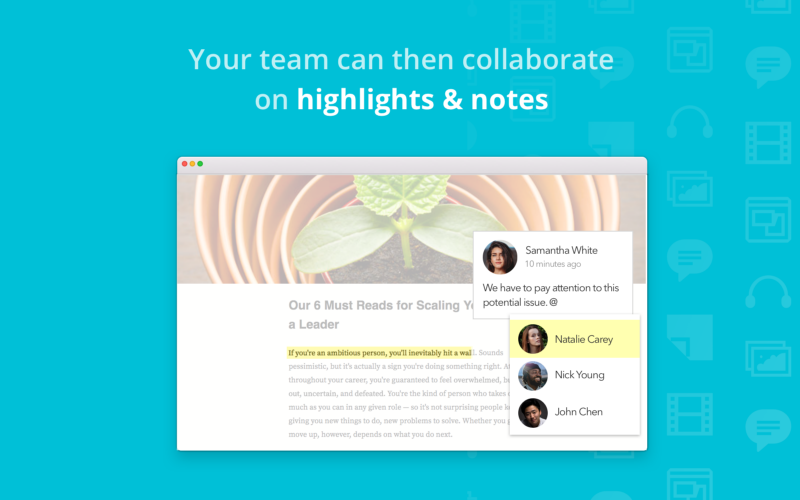 Your team can then collaborate on highlights and notes. If you want a specific teammate to pay attention to the annotation, you can mention your teammate in the note. 3. All the annotations will get synched to Slack so they won’t go silent and encourages teammates to continue with the discussion. 4. All articles will be neatly organized on our online dashboard (you can add tags easily in the Slack interface). You can also 🔎 search for saved articles in Slack using the command /kipwise search [keyword]. *Our search is very powerful and cover text inside the article and notes. 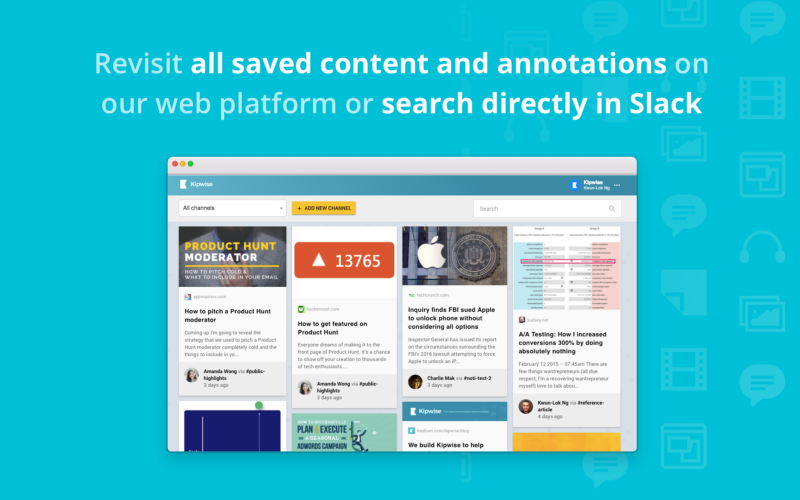 Our next step is to support more knowledge formats, such as image annotation, video annotations, clipping Slack conversations and a freestyle wiki editor so teams can manage more knowledge formats using Kipwise to enhance their knowledge sharing flow. 🔽 Haven’t tried Kipwise yet? ✉️ Have any suggestions on what knowledge format Kipwise should support next? Email us at knowledgeispower@kipwse.com.